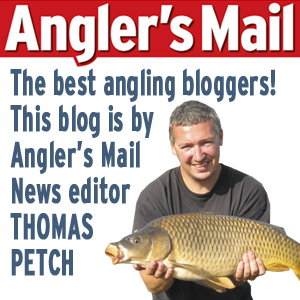 Angler's Mail magazine news editor Thomas Petch blogs this week for Mail HQ, looking at lack of anglers going onto rivers - and more! ARE you going to fish a river this season? The answer may well be yes but I suspect for the vast majority it will be a big no. I’ve been chatting to a lot of river anglers recently and they just don’t get the commercial scene – and fear for the long-term future of the sport. One top barbel angler has even had a dabble on his local commercial during the Close Season when the rivers were shut but soon got bored. The predictability of the amount of bites and species soon turned him off. And although commercials are a great way of getting newcomers in the sport with bites almost guaranteed when with the crudest set-ups, will it keep people in the sport? I totally understand the pressures if life with a full-time job, two kids, other hobbies and not enough hours in the day. And I do like bagging up too, so I’ve done a few trips down to a commercial lake down in Kent to get the rod bent and bagged a few like this barbel pictured here (left). But I do agree that will the kids who will all over the complex stay fishing? In 30-40 years time will they still be going? Will they be all-rounder, just commercial-men and women, or totally given up? I suspect many will go into specimen carp fishing but how many will go river fishing on a regular basis? I’ve just finished editing the Where To Fish pages for next week’s printed magazine and I can say there’s some brilliant river fishing to be had and it can often be free of on cheap day tickets or club books. I was impressed with Brian Gay’s On Tour feature on a free stretch of the River Tone in Somerset where he bagged up all day and ended up with a big nag including six species just for the cost of a few pints of maggots. If you don’t fish rivers, why not pick up next Tuesday’s magazine for some great flowing water venues near you and give it a real go this season? IT WAS great to see a World Record tench come out and exclusively reported in this week’s Angler’s Mail printed magazine (on sale until Monday, June 30). The 15 lb 4 oz monster was caught in France and its great to see them grow so big and there’s no reason a bigger one couldn’t be caught here in the UK with the amount of quality bait that goes into many stillwaters. TABLOID journalism! Seeing that ‘crocodile’ from the Bristol Avon plastered over many rag this week is just a joke. I’m not a betting man but would have £20 that the picture published was a plastic bag or other rubbish. We’ll have the yearly ‘great white shark spotted off Cornwall’ story again soon!